Because I’m lactose intolerant, our food conversations naturally sparked a connection between us. She always has recipe tips and let’s me gripe to her if I have a stomach ache. (Why do I torture myself? For the love of cheese!) 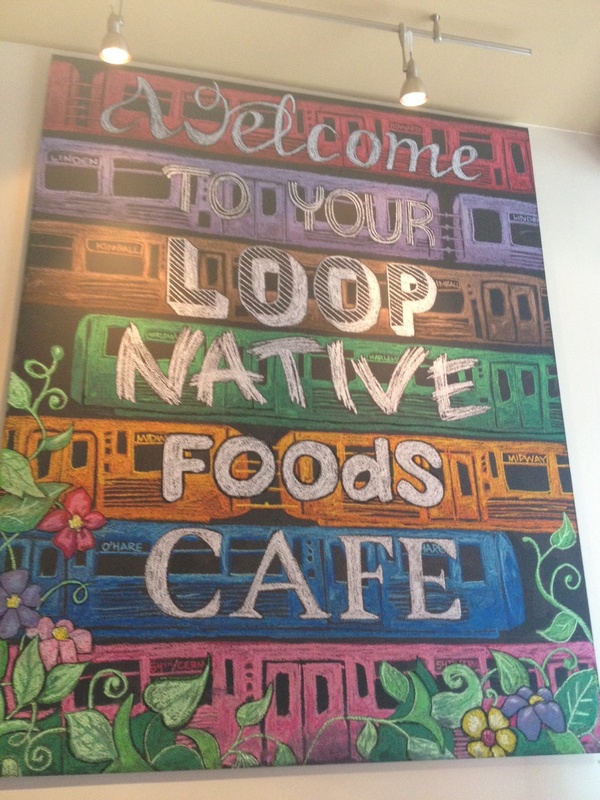 For months we’ve been talking about going to Native Foods Cafe, a 100 percent vegan cafe in the Loop and in Wicker Park. Recently Erica helped me with a graphic design project outside of work, and I asked if I could pay her by taking her to lunch. Kind of a win-win situation for me! 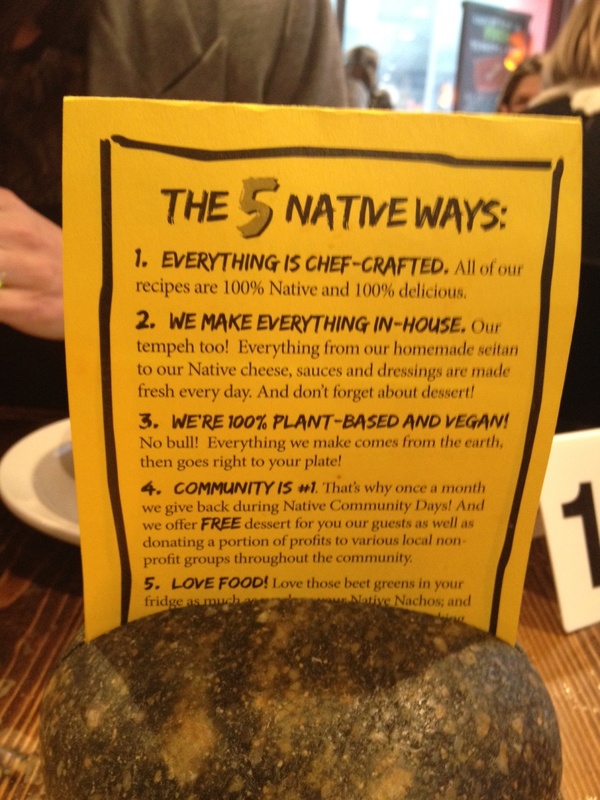 So Erica and my friend/co-worker Jill (who also went to Terra Incognito Studios and Marion Street Cheese Market with me) walked to the Native Foods Cafe near our office, and it didn’t disappoint. 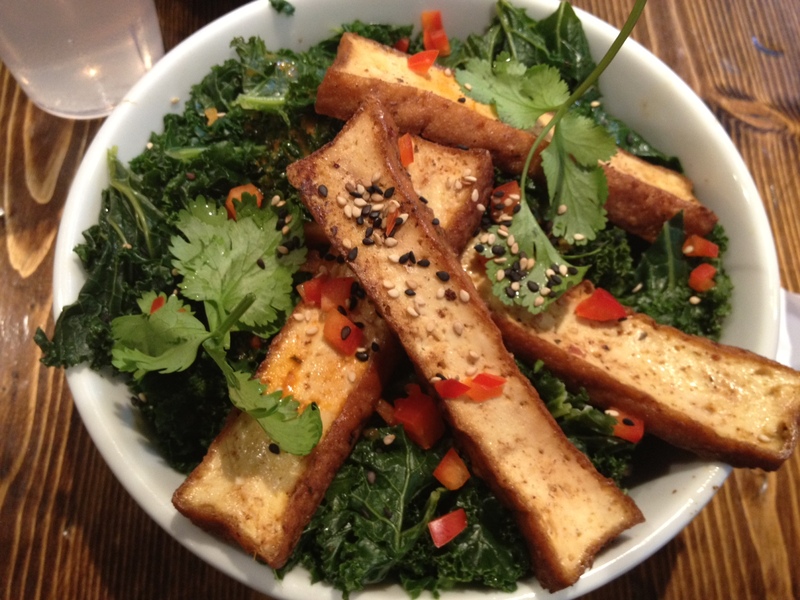 I’ve only been to one vegan restaurant in my life (Zen Palate in NYC—very good! ), and I wasn’t necessarily nervous about this food adventure, but you never know what you’re going to get when it says “meat” at a vegan spot. I love reading menus and usually marinate in my options for a good 15 minutes, but I was so busy that morning I didn’t get to check the website before we got there (check out the menu here). Overwhelmed with tasty options, I opted for Yo Amigo Taco Salad: a blend of romaine, cabbage, Native Taco Meat (here we go…), and salsa fresca. 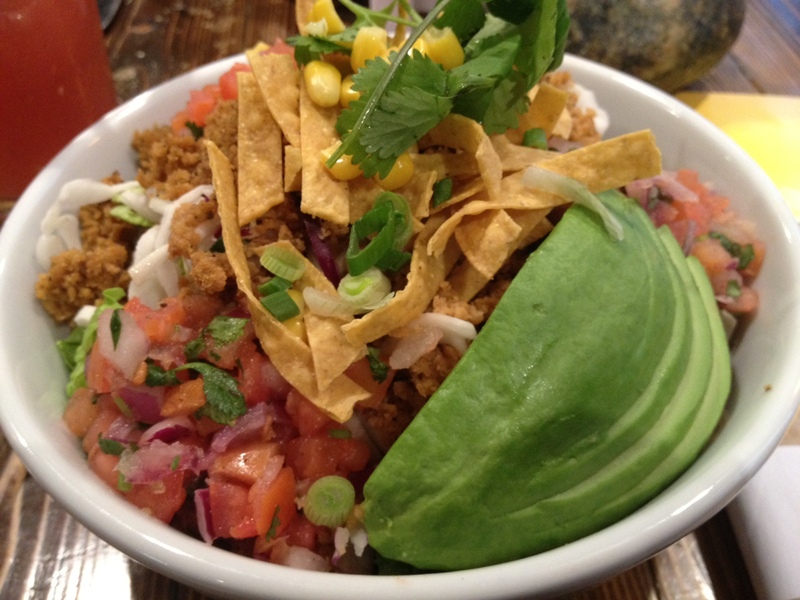 Also topped with corn, green onion, cilantro, and tortilla chip croutons, and served with our original creamy chipotle dressing on the side. (I opted for the extra avocado too.) 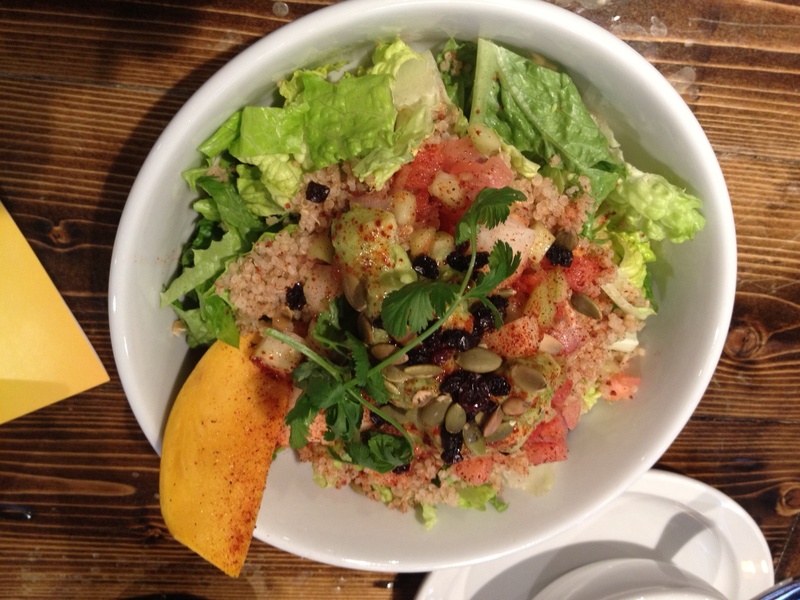 The girls tried the Split Pea soup (daily special), Bangkok Curry Bowl, and the Ensalada Azteca Salad. Erica also suggested the brownie for dessert, so we couldn’t pass that one up. And because I joined the rewards program that day, I got a free drink. Hello, Watermelon Fresca! 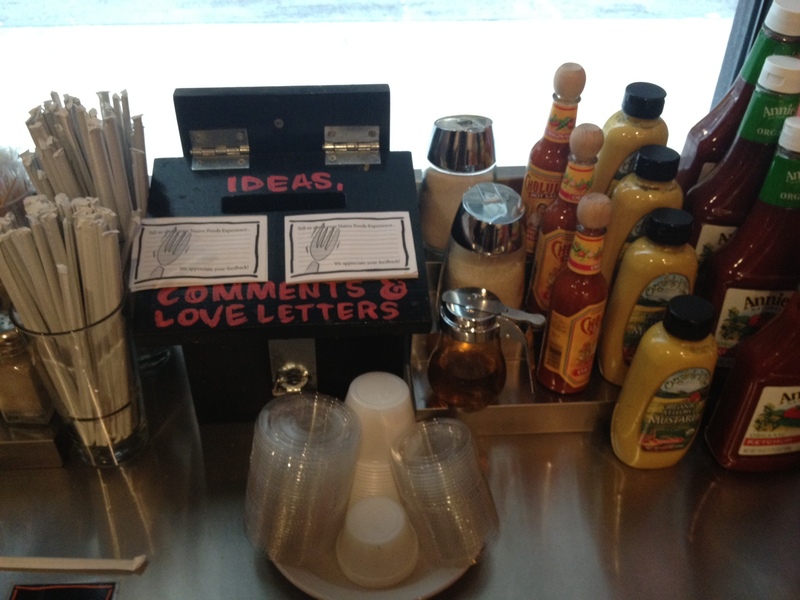 The drink was a refreshing complement to the Mexican salad. Both tasted extremely fresh, and I almost ate the entire salad, which was reasonably priced for its size. And I cannot say enough about the brownie. I’m not sure what kind of voodoo magic they performed on this thing (I’m a salty person, not a sweet! ), but I am still craving that gooey goodness. 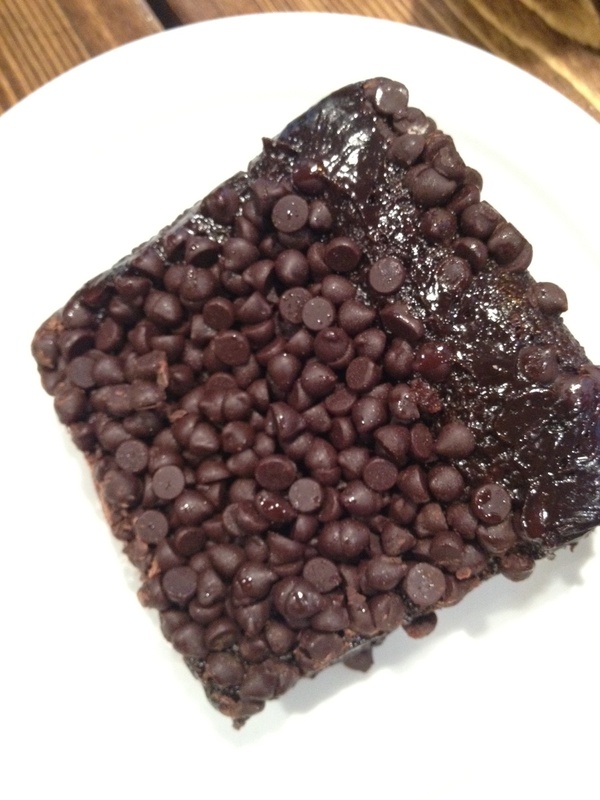 The brownie is a big portion, perfect for sharing, with sweet little chocolate chips on top. 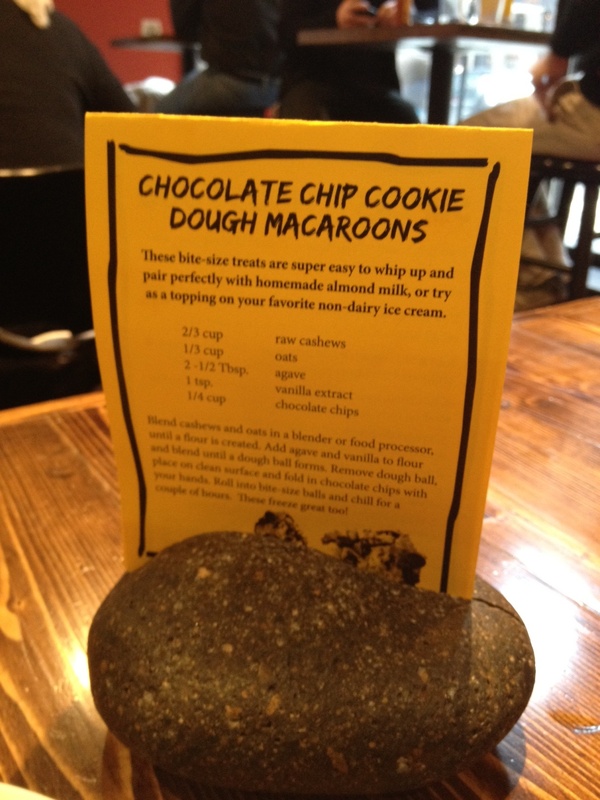 Seriously, if you go for nothing else (you would be crazy not to try something) PLEASE go for the brownie! 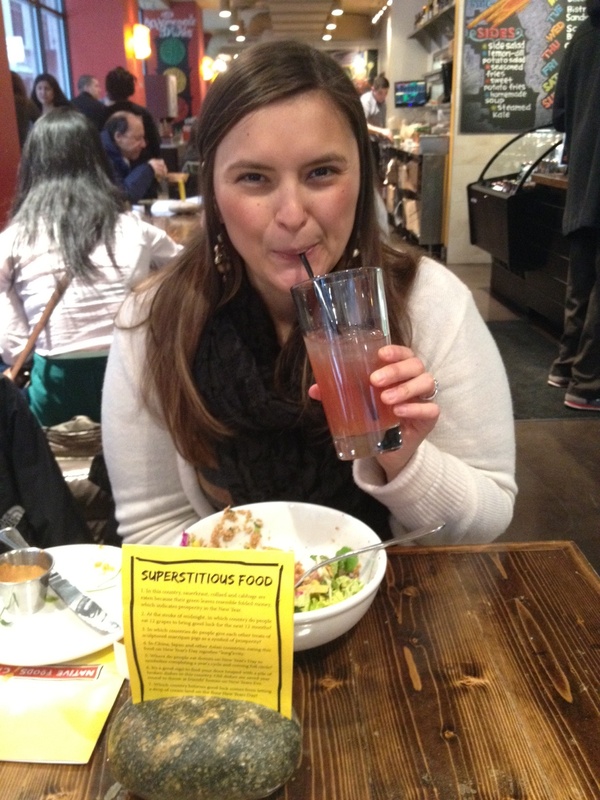 Also, because the drinks are free refills, I also tried the Lavender Lemonade. Again, not a sweet person, but this drink would be the perfect treat on a hot Chicago summer day (or a 1 degree day…just saying…). 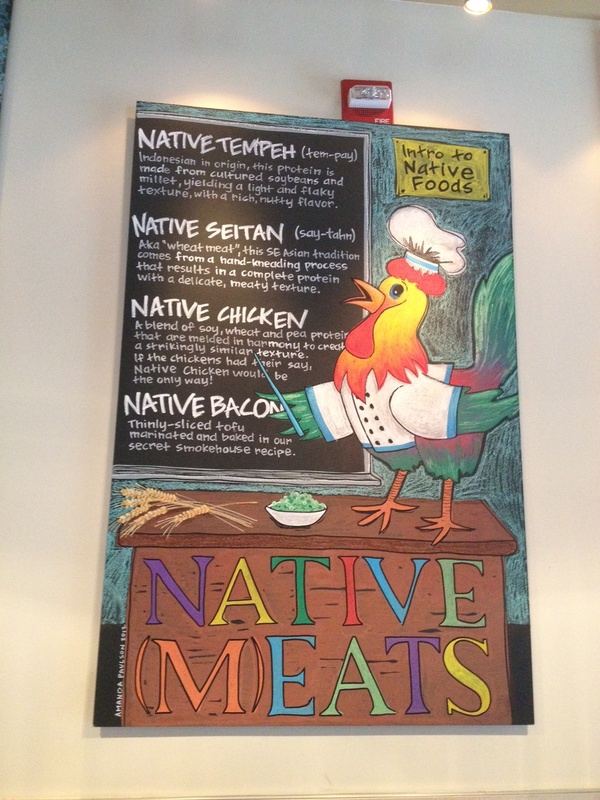 I will definitely be going back to Native Foods. And often. 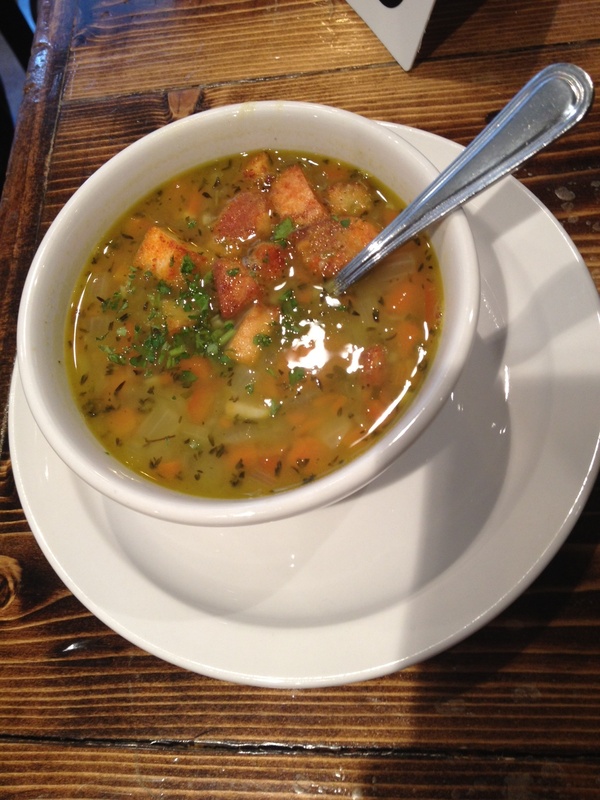 The staff was friendly to this first-timer, their ingredients are fresh, I really liked the recipes available on the tables, and the atmosphere is very inviting. 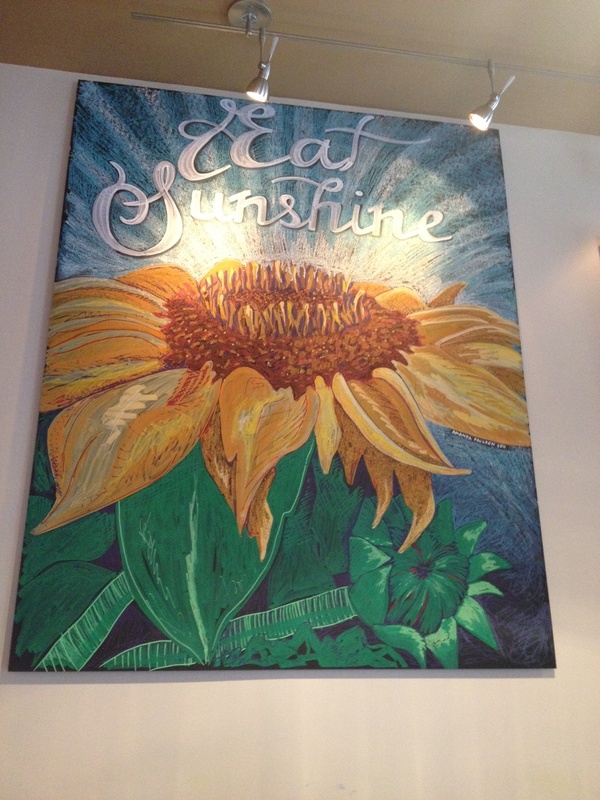 (Kudos to whoever does their chalkboard art.) The best part? I can eat everything on the menu. Peace of mind = priceless.